Native app is an application written in the native programming language of a particular operating system. A native application can be used only on a special platform. The advantage is that native apps work faster, provide high degree of reliability and has better access to devices hardware. 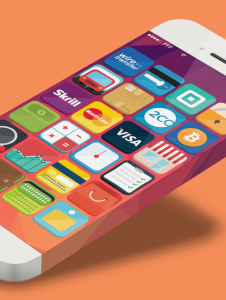 The drawback is that it is necessary to create special apps for Android, iOS and Windows Phone separately. Mobile optimized website is another good decision. 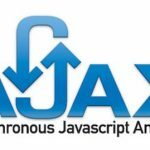 The optimization should be done before creation of any application. Many potential customers use Google or Bing or another search engine to find all the necessary goods and services on their mobile devices. Application can be a good addition to the mobile optimized website, but the site is still on the first place. To reach the particular store through the application potential customers should find this app and download it while store’s mobile optimized website is already somewhere among search results. First of all you should understand few different features of mobile shopping. Customers use mobile devices at different time of the day. For example, smartphones are the most in demand in early morning, while tablets are often used at night. By knowing this, you could place different banners on your mobile website for different time of the day. There are also few different types of mobile buyers. Comparers use their mobile devices for price checking while they are in brick-and-mortar stores. If the mobile price is lower, they buy products on smartphone. Deal lovers are looking for online vouchers. They don’t want to pay the full price and their mobile devices are their only weapon, used to reach this goal. Social shoppers are all about modern trends and social networking services, so integration into Facebook (and other similar services) on your mobile e-commerce site is a must. In the situation with the social shopper new sneakers are being element of social adaptation first of all and only then – shoes. Time passers are impulse buyers. They just pass the time in queues, or while waiting for someone, so you have to motivate them to buy something. Time savers are the most purposeful buyers. They use their mobile devices because it is the fastest way to buy something. Time savers look for clean and user friendly interface without any unnecessary information or features. Your mobile e-commerce website must meet the requirements of all these types. All of them might visit your website on a mobile device, and you have to create the conditions they seek and show all the necessary information in an accessible form. Otherwise, you will lose some of your potential buyers. High traffic is nothing without successful conversion. 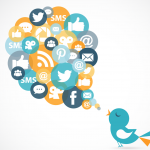 There are 3 conversional goals: purchase, social promotion, and different tasks. Completed purchase transactions, shares, tweets, likes or completed tasks are very important not only for your current revenue, but also for the future development of your e-commerce store. Some buyers take part in social promotion just because they are satisfied with your goods, store or mobile website. Some of them can share, tweet, like your store or particular product and perform other tasks only for reward. It can be discount, rating or other motivational stuff. 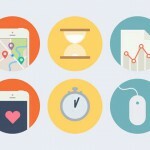 Different principles of gamification can be used here. Space, Navigation and Hierarchy. Your mobile website should be compact, clear, and finger friendly. Try few navigation methods to choose the best one. Product Images. Bad photo will always create an impression of worthless product. Don’t forget about limited space, and try to use the best photo suitable for mobile format. Typography. All the texts on your e-commerce mobile website should be readable, responsive, contrastive, and well spaced. White space is also very important as it gives content a room to breathe, turning chaotic jumble of information into well structured mobile website. And don’t forget about corporate color palette. Forms. Try not to use forms or use as short forms as possible. Remember, that they slow customers down especially on mobile devices. Clear Product Title. Your customers should know, what they are buying. Price in Contrasting Color. Make an accent on the price! Short Description. Don’t forget about limited space, but place more detailed information about the product in an easily accessible place. Availability. Show where and when the customer can get the product. If you have Magento based e-commerce store then you can easily put it into your customers hands with the help of Magento Mobile. Magento Mobile is a special product designed to create iPhone, iPad and Android native storefront apps, which are based on the information from your Magento store. In an admin panel you can customize your mobile storefront and submit your application to Apple Appstore and Google Play. All the processes are controlled by dedicated Magento Mobile team. Anything under Design tab can be updated every time. Users will receive changes without installing an update or reinstalling the app. In their turn, all the changes to the core app file are impossible without resubmission. With Magento Mobile you get seamless storefront integration. Store’s checkout, catalog, reporting, inventory, and much more are accessible through the app. 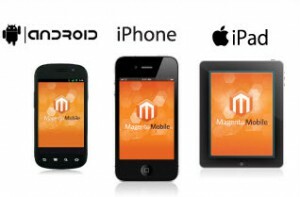 Magento Mobile is universal for iPhone, iPad and Android. Your app is still fully customizable after it is live. Magento handles the ongoing maintenance of the app in Apple Appstore and Google Play. 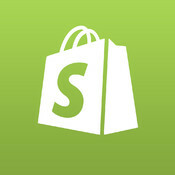 Shopify also includes mobile commerce features which can be used on different platforms. Free, built-in mobile e-commerce shopping cart features are based on HTML 5, so you get good looking store, which is compatible with Android, iPhone, Blackberry and other smartphones. Full mobile e-commerce functionality with such features as checkout and secure shopping cart. The same product details and features as in your e-commerce store. High security level (Level 1 PCI Compliant hosting and 128 bit SSL encryption). Automatic design customization for phones with different screen size. To make Magento & Shopify stores responsive and mobile ready you can also use ShopPad or CouchCommerce. ShopPad is available for Magento Enterprise, Magento Community and Shopify. It inserts special script tag used to detect shoppers with supported mobile devices, and then redirects them to mobile optimized store. Being a hosted service, ShopPad exists separately from the existing website. iPad Air, iPad 1-4, iPad Mini (both generations), all iPhones with iOS 6+ and Android smartphones with Android 4.0+ are among supported devices. 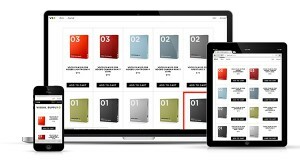 In its turn, CouchCommerce turns your e-commerce webstore into mobile optimized web-app. There is no need to change your shop system to make it responsive and mobile ready. With CouchCommerce you will get appropriate web-app of your store, which runs in browser and feels like native. CouchCommerce connects to your existing e-commerce shop system and collects all the necessary data. The whole process takes something about 30 minutes, and then you get sterling web-app. All relevant tablets & smartphones running Android, iOS or Windows are among supported devices.